West Indies 4-179 (Chris Gayle 53, Darren Sammy 34*, Dwayne Bravo 27*, Mitchell Starc 2-50) beat Australia 8-179 (Glenn Maxwell 45, Brad Hodge 35, Sunil Narine 2-19) by six wickets. Darren Sammy led his troops from the front with his astonishing unbeaten knock whereas Chris Gayle assisted him well as the Caribbeans toppled the Kangaroos. The Aussies scored 178 runs for the loss of eight wickets in 20 overs and the Windies hammered 179 with six wickets in hand and two balls to spare. Darren Sammy (West Indies) was announced ‘Player of the match’ for his attacking innings of 34 from 13 mere balls with 3 huge sixes and 2 fours. The ICC World T20 – 23rd match, Group 2, was played on Friday, March 28, 2014, at Shere Bangla National Stadium, Mirpur. Earlier, George Bailey, the skipper of Australia won the toss and opted to bat first. The openers contributed 33 runs but they lost the next two wickets with the addition of eight runs to the total. Gelnn Maxwell and Bailey took the score to 77 before the latter departed for 12 and was replaced by Brad Hodge. Maxwell tried to accelerate the run rate with a few boundaries but was caught by Dwayne Bravo off Samuel Badree for 45. 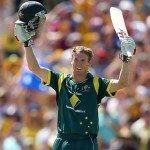 Hodge was the other prominent run scorer with 35 as the Kangaroos reached 8-178 after 20 overs. Samuel Badree, Marlon Samuels and Sunil Narine were the top wicket takers with two each whereas Krishmar Santokie and Dwayne Bravo held one wicket each. 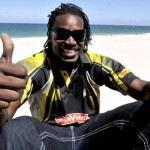 Dwayne Smith along with Chris Gayle took off smartly by smashing 46 runs in four overs with 1 six and 9 fours. The first surrendered his wicket at 50 at his personal score of 17 as Lendl Simmons walked in the middle. The run rate was picked up by the batsmen and Gayle smashed his 11th T20 fifty on the 31st delivery. He was finally dismissed at 101 for 53 off 35 comprising 2 lofty sixes and 6 fours while Simmons became the next victim six overs later at 12. The Windies were reeling at 4-130 in 16.3 overs and required another 49 runs from 21 balls when Darren Sammy joined in with Dwayne Bravo. Sammy was the most aggressive of the two, he dispatched two consecutive sixes and won the game for his country. 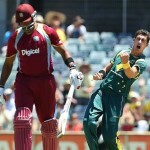 He stood firm at his end for 34 and Bravo was at the other side at 27 while the Caribbeans powered 4-179 in 19.4 overs. Mitchell Starc was the highest wicket taker with two whereas Doug Bollinger and James Muirhead shared one wicket each. 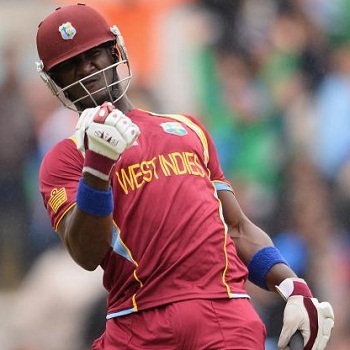 West Indies triumphed in the thrilling encounter with a big margin of six wickets and enhanced their points to four.